What will your child be doing in the next holiday club? 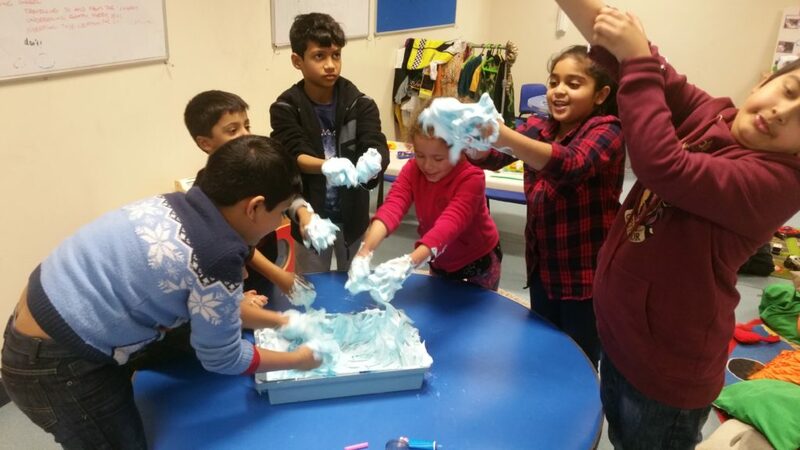 Established in 2007, Kids in Charge’s Holiday Club provides fun, exciting and stimulating activities for children aged 3 to 11 years. To make a booking or find out more get in touch or use the form to the right. To enquire about enrolling for the next holiday club please use the form on the right or you can find our contact details on the contact page. What are the trips and how are the children travelling? We have a variety of trips from the local park to museums in London to theme parks in Kent. Depending on numbers and destinations we use a variety of modes of transport. Some local trips we will walk whilst other will use public transport. We own two mini busses and a company car, so we use these also. All drivers are fully insured and have taken additional minibus certified training. All children will wear our HI-VIS jackets are accompanied by our staff at all times. What is the ratio staff to children? On site the ratio is between 1:8/10 and off site 1:6/8. The lower ratio is for the children up to 5 years and the higher ratio is for reception children up. Do we offer food and if yes? What? We offer a “FREE BREAKFAST” option, however this needs to be booked in advance and spaces are limited. We do offer “FREE LUNCHES” for all children attending our ONSITE days as well as Mid Moring and Mid Afternoon snacks and drinks throughout the day. For Trip days, we ask that you provide a packed lunch in an easily disposed of bag. We can cater for most dietary needs, however if your child has a specific requirement, please speak with a member of staff beforehand. The men is on show throughout the holiday at each venue.